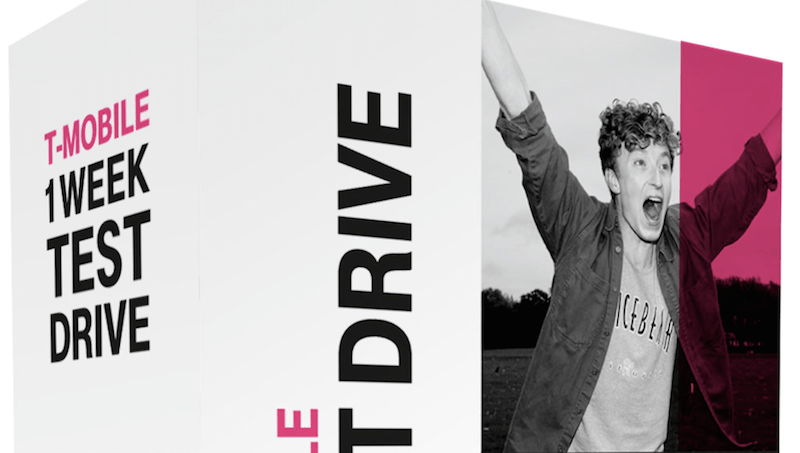 T-Mobile on Wednesday announced a new service called Test Drive during their Un-carrier 5.0 (and 6.0) media event. The service addresses a concern that many have before switching to a new carrier: will I get service in the areas I frequent the most? Instead of taking a gamble or basing your decision on a coverage map that likely isn’t entirely accurate, T-Mobile’s Test Drive service will loan you an iPhone 5s to use for a full week. If you aren’t happy with the service or the handset, simply send it back after seven days free of charge. The wireless carrier opened pre-registration for Test Drive following the announcement with plans to launch the service on Monday, June 23. And according to outspoken T-Mobile CEO John Legere, more than 12,000 people have already taken them up on the offer. That’s 12,000 potential new T-Mobile customers that might not have even considered switching before. In case you missed it on Wednesday, T-Mobile also said they will no longer count streaming music against the data allowance in a user’s subscription. This applies to most major streaming providers including Pandora, Rhapsody, Spotify and iTunes Radio with the company now accepting votes for the next service to be included in the Music Freedom initiative.